If you have domain names or a whole domain name portfolio that you want to sell, this is the category to visit and learn from. Topics include domain name marketplaces, email outreach, landing pages, and much more. 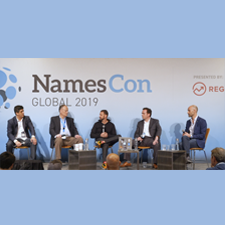 Two of the top global minds in domain name values handicap what is likely the best domain auction in history, the upcoming 2019 NamesCon Auction. Monte Cahn and Andrew Rosener review the domains and discuss what will sell, what you should keep an eye on, and some of how the auctions work behind the scenes. Any domain name investor or company who plans to acquire a domain in 2019 will benefit from today’s show. STOP calling domains real estate. It diminishes value by failing to create an emotional connection, which is the goal of any good brand. That’s the message from today’s Sherpa, Chris Zuiker. Investors and entrepreneurs who incorporate domains into brand strategy will benefit from today’s show. If you don’t understand specifically how domain names impact brand values, you limit your ability to sell your domain names, to invest wisely, or on the other end, to maximize your brand’s potential. Today’s Sherpa, Chris Zuiker, describes 7 specific ways in which domain names impact brand value. All investors and entrepreneurs who are looking to understand the intersection of domain name and brand values should watch this show. Experienced domain investor Drew Rosener bought an expired domain on GoDaddy Auctions this past September, and he was willing to bid at least double the $2,033 he paid. Within 5 months, he received a $500 offer and turned it into a $22,000 sale. Drew walks us through why he likes domains that include common phrases like BreadBread.com, some factors he considers when pricing a domain for sale, and his simple email philosophy.